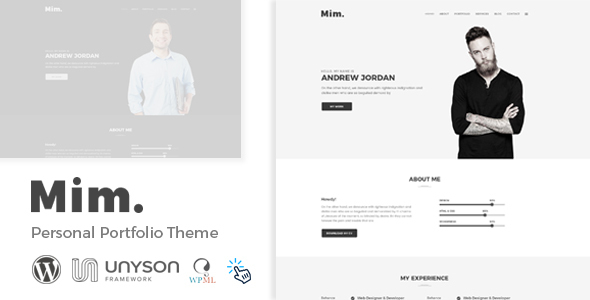 Mim â€“ Personal Portfolio WordPress theme is a clean and modern WordPress theme for personal portfolio, resume web site. Built with the latest WordPress technology. Mim portfolio theme makes with responsive layout. So it looks great on all devices And also fastest page loading. It has predefined styling for represent your personal info. which can be imported form demo with one click. Iâ€™ve used the following images, icons or other files as listed.